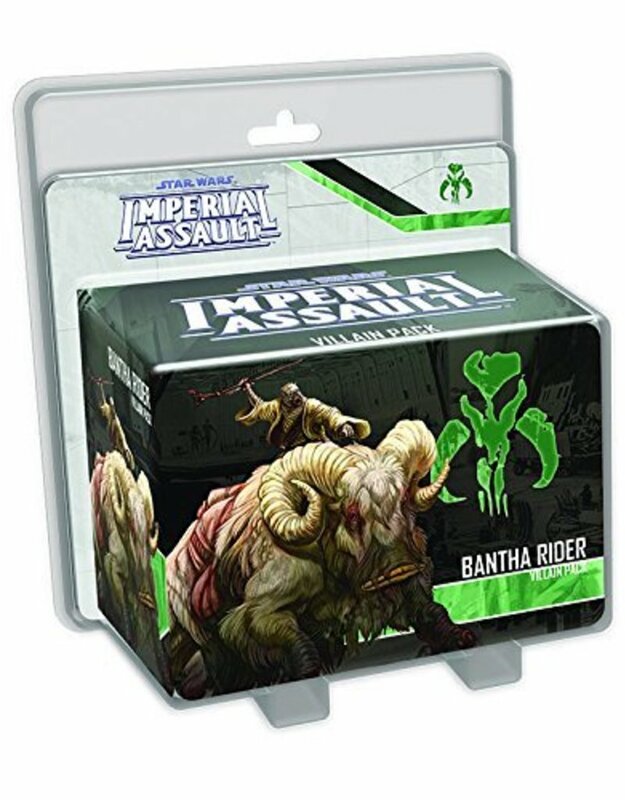 Ride out of the desert atop a mighty bantha with the Bantha Rider Villain Pack for Imperial Assault! This massive beast can trample your enemies as the Tusken Raider rider takes potshots at more distant targets. 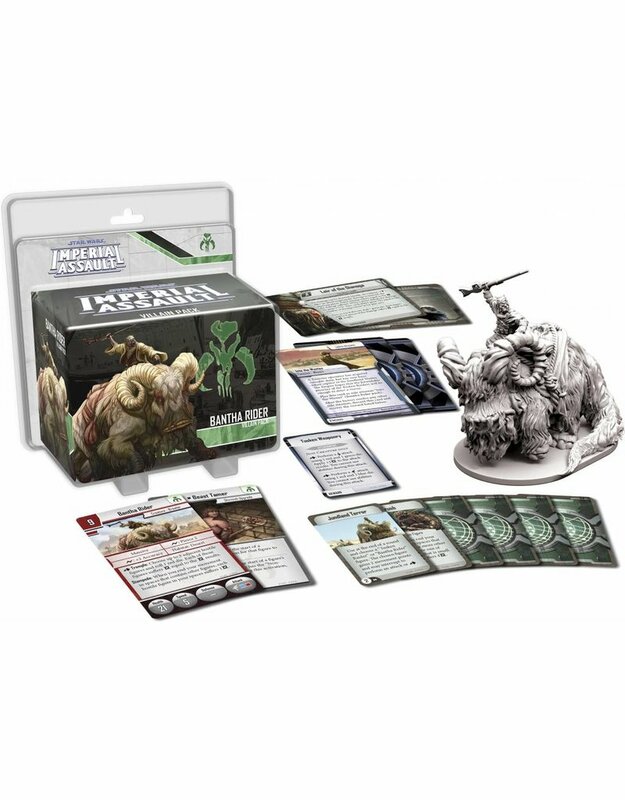 Along with this sculpted plastic figure, you'll encounter a new Agenda set that allows the Tusken Raiders to terrorize the Rebel heroes over the course of a campaign. Alternatively, you can hire the Bantha Rider to fight alongside your Tusken Raiders in a skirmish game. 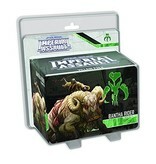 With six brand-new Command cards, the Bantha Rider Villain Pack offers new tactical surprises for every skirmish game.